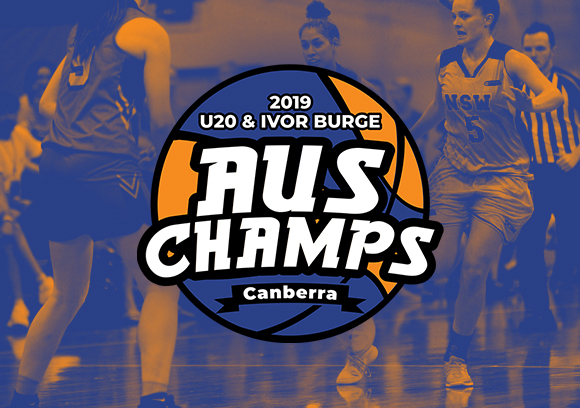 The first Australian Championship for 2019 is less than three weeks away with the Under-20 and Ivor Burge Champs to be held in Canberra, ACT from February 12-17. Find the full draw here (updated January 24). This year, the tournament will be held at Basketball Australia’s Centre of Excellence (CoE) out of the Australian Institute of Sport (AIS). The Under-20 Championships sees the best talent from around Australia represent their states and territories across a men’s and women’s competition in a battle to be crowned the best in the country. The Ivor Burge Championships provides an opportunity for intellectually disabled players to compete on a national stage while representing their state or territory. 99 games will be played across six days with competition beginning in the afternoon of Tuesday, February 12. Group stage games run until Friday, February 15 before the gold medal games are held on Sunday, February 17 at 8am for the Ivor Burge Women, 10am for the Ivor Burge Men, 12pm for the Under-20 Women and 2pm for the Under-20 Men. Every state and territory will be represented across the four competitions. The NBA Global Academy, which is based at the CoE and serves as a hub for the NBA’s top international prospects, will again compete in the Under-20 men’s after finishing fifth last year. They will be aiming to knock off the defending Champions in Victoria who have sent two teams this year while Northern Territory have sent a team for the first time since 2012. Victoria are also the reigning Champions for the Under-20 women after they edged Queensland by ten points in last year’s gold medal game. A Japanese team will compete in the Ivor Burge men’s competition where Victoria have also sent two teams while there will be a fierce battle for the podium in the Ivor Burge women with six teams chasing top spot. Stay tuned for the announcement of team lists soon and find the full draw here (updated January 24).